Part of feeling distressed (stress with negative results) is having limited amount of time to fulfill increasing number of responsibilities. Recognizing the role and the value of “effective” and “efficient” goes a long way in getting results without distress. Effective steps ensure that we do not waste time and energy on what does not work. Efficient steps ensure that we do not waste unnecessary time and energy. Both of these terms have meaning only in relation to a goal. Consider the goal of building muscle mass. How do we increase muscle mass? The increase in muscle mass is an adaptation response to increased intensity of an exercise. It is a function of lifting heavier. An exercise plan without a sufficient load cannot stimulate growth response regardless of how many of them you do and how often you perform them. In relation to the goal of increasing muscle mass, working with light weights is a waste of time. Regardless of your gender, effective exercise to increase muscle mass require a progressive increase in the intensity of your resistance training. As an example, in less than 50 reps of squats with correct intensity and tempo, you can build leg muscles in ways that a thousand jumping jacks will not. Part of planning including your workouts is to eliminate ineffective steps. With practice, you’ll find out how relaxing it is to know that about 20% of what we habitually do account for about 80% of our results. That means about 80% of what do every day may not be effective at all and by removing them from our schedule we lighten the distress. The practice of looking for, recognizing and eliminating ineffective steps in our daily activities is one of the most effective steps we can take regardless of our goal. Just be careful not to go overboard and become obsessed with it. In an exercise plan, efficient exercises are a subset of effective exercises. In the same example of building muscle mass, the adaptation response for building muscle tissue is connected to your hormones. Exercises that engage larger muscles groups simultaneously and synergistically impact your growth hormones much more effectively than exercises that engage your smaller muscles. As an example, a barbell bent over row with the right form, intensity and tempo engages your entire posterior chain from your neck and shoulders down to your toes. A biceps curl or an ab crunch even right form, intensity, and tempo only engage very small muscle groups and they do not even come close to a barbell bent over row in the amount of muscle stimulation they provide. In relation to the goal of building muscle mass, an exercise like barbell bent over row is a much more efficient exercise than a biceps curl. Finding the most efficient exercises in relation to your goal saves you time and gets you better results. Just be careful not to lose sight of balance. 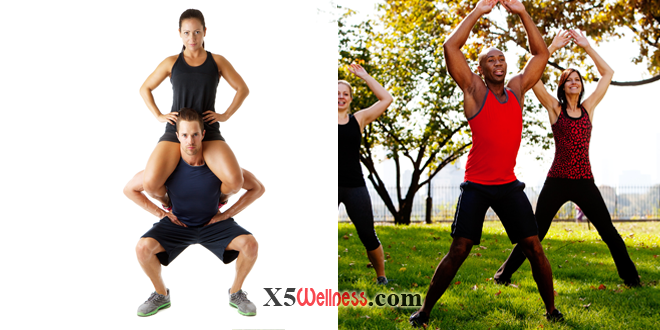 Even the most efficient exercises, repeatedly done create imbalances. A custom workout plan helps you anticipate imbalances and correct them before they get out of hand.